It’s not every day you get to become the hero of your favorite movie, visit magical worlds or travel to a different planet…unless you live in Orlando. Known as the “Theme Park Capital of the World,” Orlando is the perfect place to spark the imaginations of the students in your travel group. But the Florida city has more to offer than just its award-winning theme parks. From interactive science exhibits to breathtaking art to high-stakes puzzle solving, Orlando provides your students with an escape from reality they won’t soon forget. Ditch the awkward icebreaker games and embark on a team-building adventure that will truly bond your student travel group in just 60 minutes. The Escape Game is Orlando’s largest escape room, offering five different immersive experiences to choose from. Students can live their wildest dreams of becoming an astronaut stranded on Mars, a national hero retrieving a piece of stolen artwork, an inmate wrongly accused of a crime—and more. 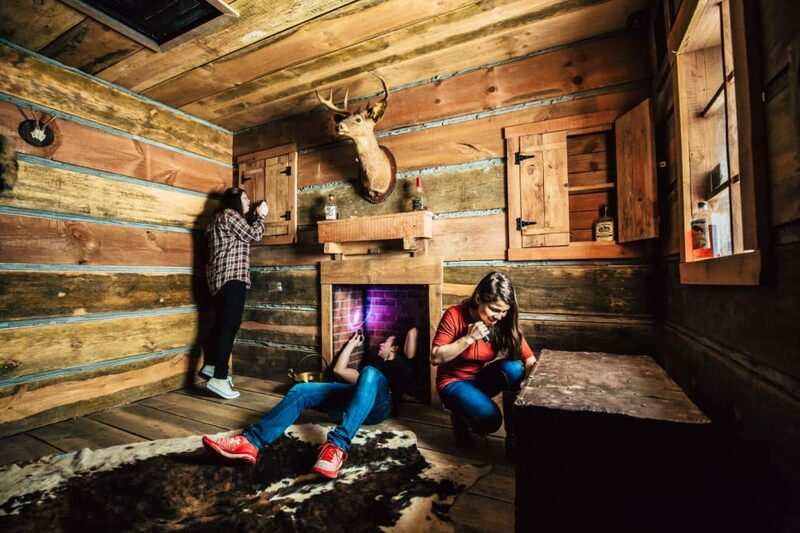 While the escape room is located in Orlando, you will feel like you have been transported to a whole different world or century in these authentic room designs. With a room capacity of eight players, students must work together to sharpen their problem-solving skills and uncover the mystery of how to escape, coming away with unforgettable memories and a priceless bond with their groupmates. The Escape Game is perfect for students of all ages as each room comes with a different difficulty level, so both new and experienced puzzle solvers can enjoy an experience tailored to their skill level. After a lifetime of watching people in movies go on amazing adventures, The Escape Game will give your students the chance to be the hero in an experience they will remember forever. You and your students just arrived in Orlando, Florida. What are you going to do next? Go to Walt Disney World of course! Spanning nearly 47 square miles, Walt Disney World Resort is home to four theme parks, three water parks and over 20 resort hotels to choose from. Every student traveler will find something that sparks his or her imagination, as each park employs a different theme. 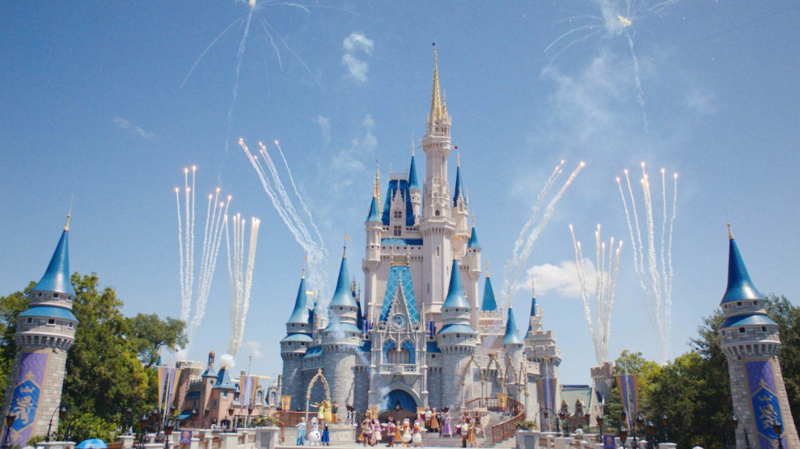 For fantasy lovers, the Magic Kingdom famously holds the title of “most magical place on Earth” with its huge castle surrounded by storybook princes and princesses made famous by classic Disney movies. Those more intrigued by technology and futuristic attractions will enjoy Epcot, where they can travel through time, sail the open ocean or take off into outer space. With two parks in one, Epcot also offers around-the-world dining and cultural experiences that are sure to please the foodies in your group. Film buffs, especially Star Wars fans, will appreciate the stormtroopers marching down the streets of Disney’s Hollywood Studios, while Disney’s Animal Kingdom will satisfy a variety of interests as a unique blend of animal reserve, international experience and otherworldly wonderland (thanks to the addition of the new Pandora: The World of Avatar expansion). No matter which park you choose, remember to look up after the sun goes down so you don’t miss one of the awe-inspiring firework displays! With so many interesting sights to see in the Orlando area, why limit yourself to viewing two or three when you can see them all? In just one ride on the 400-foot-tall ICON Orlando Observation Wheel, you and your students get a front-row view of iconic attractions like SeaWorld Orlando, Universal Orlando Resorts and Volcano Bay Water Park, which are all within a two-mile radius. The largest observation wheel on the East Coast also offers views of downtown Orlando, and, if you are lucky, you and your students might even get to watch the launch of a rocket from the Kennedy Space Center as you ascend. To make sure your students don’t miss any of the breathtaking sights, a recorded narration will direct their attention to key attractions on the 23-minute trip. Don’t be fooled by its appearance—the ICON Orlando isn’t your average Ferris wheel. Unlike the free-swinging cars of a traditional Ferris wheel, the “observation wheel” has stabilized, air-conditioned capsules with an unobstructed view, thanks to the structure’s A-frame support. The structure already stands out as the sixth tallest observation wheel in the world, but at night the wheel becomes even more eye-catching as it transforms into a kaleidoscope of color with lights that can be programmed to showcase the colors of holidays or other occasions. With the 7,000-pound capsules (30 of which are wheelchair-accessible) designed to fit 15 passengers, this ride is an experience your whole travel group can enjoy together. 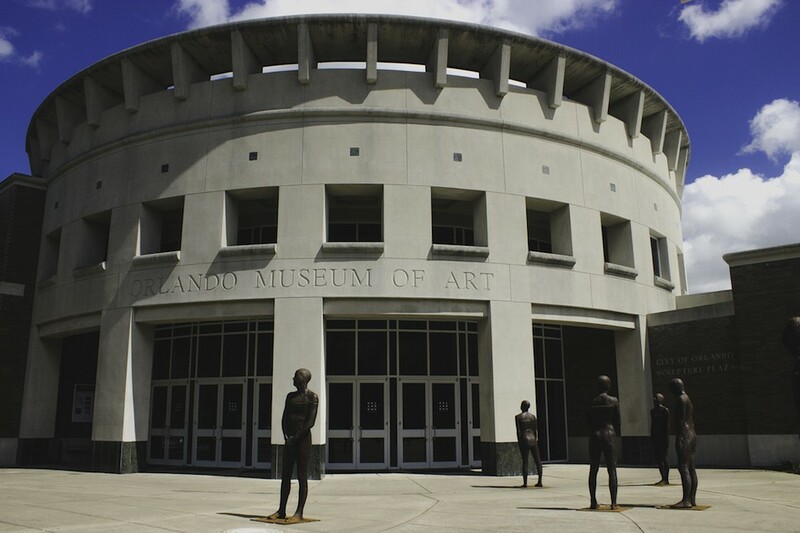 Long before Mickey Mouse stole the Orlando spotlight, the Orlando Museum of Art was founded in 1924. The museum owes its life to the booming art scene in the 1920s, which helped it become the leading cultural institution it is today. Featuring Florida’s art and cultural life for nearly a century, the museum is dedicated to collecting, preserving and interpreting notable works of art and displaying work of local, regional, national and international significance. 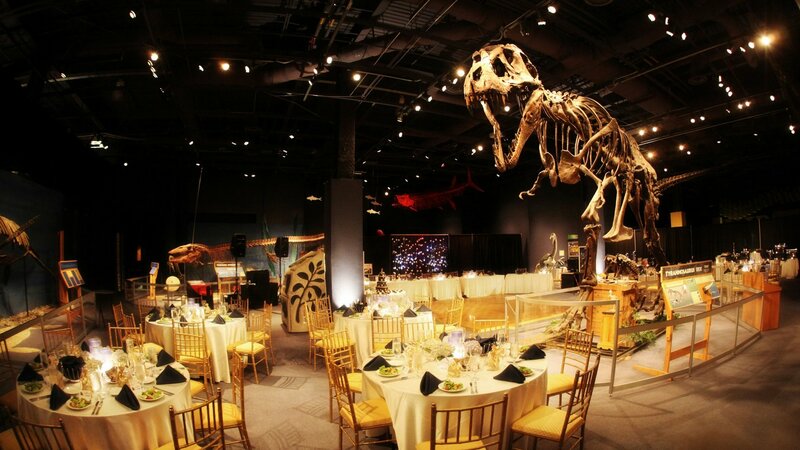 It is this wealth of culture that makes the museum stand out among the roller coasters and theme parks that populate Orlando as the perfect place to bring your travel group. Students will enjoy perusing the exhibitions, taking a gallery tour or attending one of the art appreciation lectures. The broad range of beautiful art is sure to unleash your students’ creativity and inspire them for years to come. Florida is known for its sunny weather, but on days when the forecast is less than ideal, the Orlando Science Center offers a rainy day escape. Entertainment and education go hand in hand in this center that is dedicated to inspiring science learning and igniting innovation. The science center brings the core concepts of STEM (science, technology, engineering and math) into the lives of people of all ages by producing engaging natural science exhibits like NatureWorks and DinoDigs, as well as high-tech exhibits like Our Planet and Kinetic Zone. The four-floor, 207,000-square-foot facility attracts over 500,000 visitors each year with its spacious exhibit halls, nature habitats, theater, observatory, classrooms, science store and café. To engage students with more “hard science” in their visit, science stations can be found throughout the center, which offers a blend of exhibits and live programs to provide an in-depth look at the station’s subject matter. To further bring their experience to life, the Digital Adventure Theater with ultra-high-definition features 3D educational and Hollywood movies on the giant screen as well as live programming. And for even more immersion into the world of science, the Dr. Phillips CineDome will surround students with crystal-clear images to spark their imaginations. No matter where your students find themselves in the Science Center, they enjoy an entertaining and educational experience unlike any other. Unsurprisingly, a popular destination for student travel groups is the second-largest attraction in Orlando: Universal Orlando Resort. 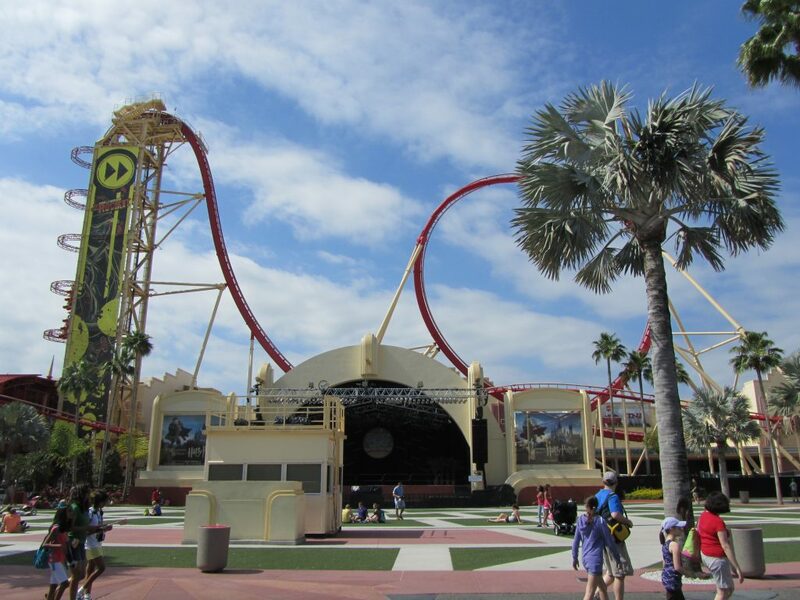 The resort’s two theme parks bring students’ favorite films and television shows to life, inviting them to “ride the movies.” At the Universal Studios Florida park, students can strap into top rides like Shrek 4D, Jurassic Park – The Ride and Revenge of the Mummy for an unforgettable experience. But the big-screen experience doesn’t end when the ride stops; students of all ages will enjoy meeting and taking Instagram-worthy pictures with their favorite characters like Optimus Prime, the Minions, Spongebob Squarepants and more. Likewise, the resort’s other theme park, Universal’s Islands of Adventure, is a can’t-miss destination. Ranked as TripAdvisor Travelers’ number 1 Amusement Park in the World for three years in a row, the park is the ultimate mixing pot of superheroes, beasts and magical creatures. When students need to cool off, the resort’s water park—Volcano Bay—is the place to go to unwind and enjoy the carefree island life or go on a thrilling water ride. When hunger strikes, Universal CityWalk features a variety of restaurants sure to satisfy the taste buds of even the pickiest eaters in the group. At the end of a long day of fun and adventure, you and your students will be well taken care of at one of the six on-site Loews Hotels. From casting magic spells, to making a splash to kicking back and relaxing, the fun is endless at Universal Orlando.